Choose a country inn or hotel in East Anglia and enjoy messing about with boats on the Norfolk Broads, explore Constable Country, browse the antique shops in Lovejoy's Suffolk or visit the historic colleges of Cambridge. This ancient hotel is full of character and is set in a delightful position overlooking a river. 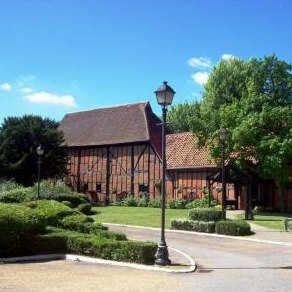 Situated only three miles from Bedford town centre. 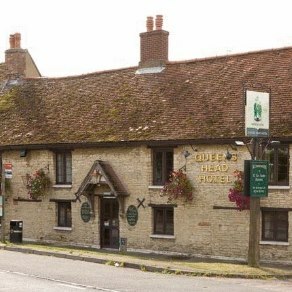 This lovely inn is situated in the pretty village of Houghton Conquest, just 15 minutes’ drive from Bedford city centre. 9 en-suite rooms, bar and restaurant. Once the haunt of musician Glen Miller during World War II, the historic Queens Hotel offers a warm welcome, comfortable rooms, restaurant and bar. Nestled in the shadows of Ely Cathedral, the Lamb Hotel dates back to the 15th century and is a wonderful example of an ancient coaching inn. 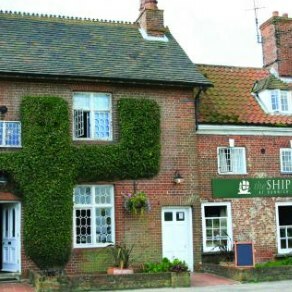 This 16th century inn is situated in the centre of Stretham and is a great base for exploring the Fenlands. All rooms are en-suite. The Anchor is an award winning riverside inn boasting an AA Rosette. 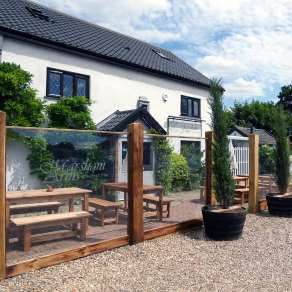 Situated in the heart of the Fenlands yet only seven miles from Ely. 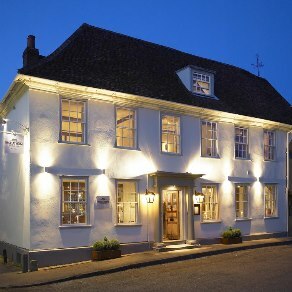 The historic Marsham Arms Inn offers a friendly welcome. 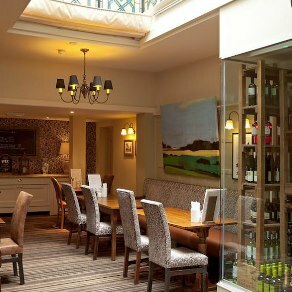 Fully refurbished, the inn brings together the best of the old and the contemporary. 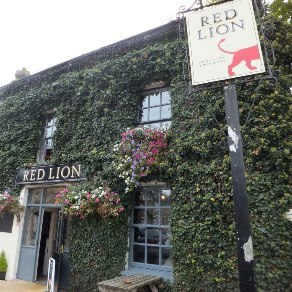 The 200-year-old Red Lion Hotel occupies a superb position on Cromer seafront. The lounge enjoys wonderful sea views. Two minutes walk from the beach. AA 4-star inn. 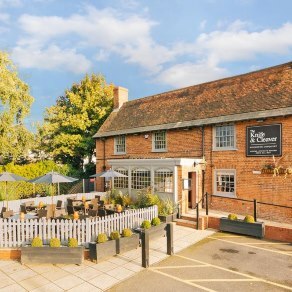 This 17th century country pub combines period features with modern comfort. 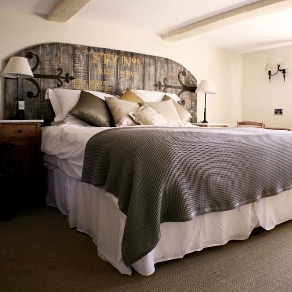 The pig offers luxurious bedrooms and a charming bar offering fantastic homemade meals. 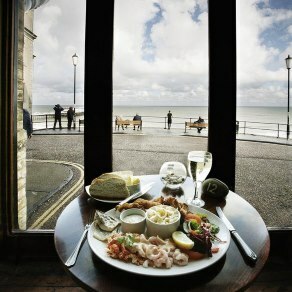 This traditional coastal inn is set just 100 paces from the beach and offers good food, real ales and open fires. A great base for exploring the Suffolk coastline. 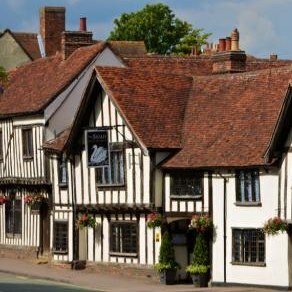 This multi-award winning boutique hotel is set in the middle of the medieval village of Lavenham. 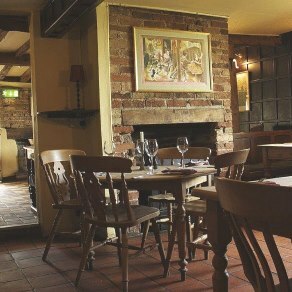 Also offers outstanding food in the award winning restaurant. Situated in the heart of one of the most beautiful medieval villages in England, the 14th century Swan Hotel and Spa boasts a 2 AA Rosette restaurant.